New York (TADIAS) – Five decades ago, when the Italian owner of the only record store in Addis Ababa could not keep up with growing local demand for more music variety, an Ethiopian music enthusiast named Amha Eshete opened his own shop. “I ended up opening the first music shop owned by a native Ethiopian, diversified the import and started buying directly from New York, India, Kenya, and West Africa,” Amha recalled in a recent interview with Tadias Magazine. “But there was one very important ingredient missing — I was selling foreign music labels, all kinds of music except Ethiopian records, which was absurd,” he added. 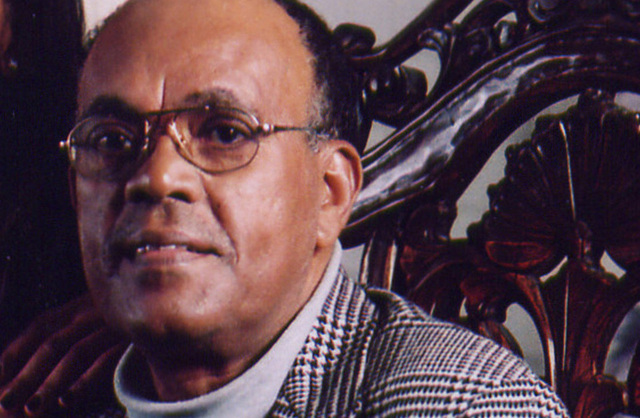 Amha Eshete is the Founder of Amha Records – the pioneering record company whose work from the “golden era” of Ethiopian music is now enshrined in the world-famous éthiopiques CD series. I am proud at being one of the singers considered an Amha Record person, because Amha Record was the single milestone musical event that changed the history of Ethiopian music. I was always curious about the story behind the Ethiopiqes CD, which I absolutely love! Thank you Amha Eshete and Francis Falcato! I have a question for Amha: I read in Gift of Incense a statement that seemed to suggest Abubaker Ashakih single-handedly created modern Ethiopian music. A claim is made that Abubaker wrote “Gara Ser Nau Betish” [p.148]; I had thought that was written and sung by Teshome Mitiku. Amha records contribution to the preservation of Ethiopian music is immeasurable in cultural and historical terms. If he was from any other country he would probably be receiving awards left and right! I just want to say Thank you! Whatever happened to all the dancers that are photographed on the CDs?? They looked awesome!! Ato Ameha you are really a great ethiopian who played a great role in the modernization of Ethiopian music. I am one of those who enjoys the lovely songs of Ethiopian singers recorded by you. I believe that you did a great job and let the almighty God bless you with good health, prosperity and peace. I have never seen you in the past and I am very happy to see your picture for the first time on the website of Tadias.